Can Bachelor, Ninja, MasterChef replace Children’s TV? 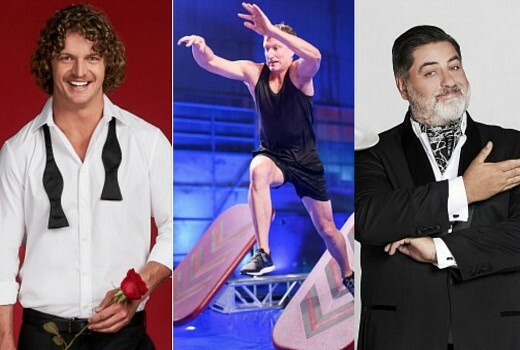 Free to Air commercial networks no longer want to produce Children’s TV arguing that shows like MasterChef, Australian Ninja Warrior and The Bachelor bring families together. Appearing recently at a Senate Hearing Committee into Australian Broadcasting Content, Free TV was asked specifically if they feel they have any obligation to contribute to children’s television in some way? Networks also reject the idea of contributing to an industry production fund for children’s TV. “We are in the business of trying to run sustainable entities. We make significant contributions to Australian content—as I said, over $1.6 billion in the last financial year—and we’re trying to do that whilst at the same time facing greater competition, declining revenues and higher costs. So we would not favour something which added to those costs, particularly where we weren’t necessarily going to be benefiting from the output,” said Fair. Free TV said their members were producing hundreds of hours of children’s programming every year that wasn’t being watched. But asked about the classification of such programmes, Free TV was unclear. “I’m also not sure, but I will check. Obviously they’re very family-friendly programs in the main,” said Fair. “We can come back to you with some of those. Obviously something like The Bachelor doesn’t usually get shown at 7.30; it tends to be a later slot,” Fair incorrectly replied. But the Australian Children’s Television Foundation said shows such as Ninja Warrior were no replacement for shows such as Dance Academy, Mako Mermaids and Mortified which are rediscovered by new audiences every 4 years. Bernadette O’Mahoney, ACTF Head of Development and Production, said, “Taking Ninja Warrior as an example, the things that those adults are doing in that show aren’t things that children necessarily can do or should be trying to do. They’re great and they’re entertaining but they’re not giving them role models for the next step of their life and things like that. “As adults, we expect to watch drama made especially for us. Why don’t children get the same? Why shouldn’t they expect to have drama made especially for them showing their peers on screen and the things that are actually relevant to their life, their school life, their friendship circles, their changing bodies—all those sorts of things. As adults we expect that. Fiona Donovan from the Media Entertainment & Arts Alliance agreed Reality TV was no substitute for Children’s television. “Children’s television isn’t just for kids who can watch MasterChef. What about a two year old or a four year old?,” she said. “MasterChef isn’t an appropriate television show for them. How do you speak to teenage girls? Are shows like The Bachelor appropriate for teenage girls? Is that modelling good behaviour? When people make a children’s show or a young adults show they think about what’s appropriate and what message they are trying to tell. I don’t know that The Bachelor, MasterChef or Ninja Warrior are modelling good behaviour for children. It’s good to see what adults do, but is it right for children? I don’t think it’s for us—it’s for parents to decide what’s appropriate, but it’s giving them a selection of things to choose from. Actor Matt Day also underlined he importance of training, Children’s TV provides to performers and filmmakers. “I started off on children’s TV when I was 14 years old, 30-something years ago. I’d hate to see people denied those same opportunities to learn, really—which is what I did on the job; I wasn’t trained professionally—to have a career and to be able to do so in Australia without leaving the country, which so many people seem to have to do these days just to get by,” he said. Matt Deaner, CEO from Screen Producers Australia urged for tweaks to current regulations, rather than see them discarded entirely. “We’d like to see not necessarily a reduction of certainly C drama—we think that that is really, really critical as a way of investing in audiences and getting children engaged in stories that are reflective of themselves,” he said. “From our business point of view, these are stories that go global and are really desired. The show that one of our members Jonathan Shiff’s done with Network TEN over the years has been Mako Mermaids, and there have been a whole heap of variations of that and they have sold into so many territories across the world. They’re great ways of exploring our identity both here and also globally. So I just think we miss a whole beat. I think I was lucky growing up when I did in the 90’s it was a golden age of children’s programme that you would rush home to watch like spellbinder, ship to shore, round the twist, the girl from tomorrow, amazing, or be late for school Agro and cheez TV. Its just money they want, as long as there are those who don’t mind being brain-washed from every angel they don’t care. To be honest, if I do watch TV I watch mostly the good old stuff, the ABC, and NCIS and Criminal Minds, the rest of the time its kids cartoons because there’s nothing else on that’s of interest. Go Sean the Sheep! Good to read that Blue Heelers re-runs will on soon as well. Wahoo. The problem with FTA in Australia is that with a population of 25 million there are 3 major commercial networks plus SBS that are after the advertising revenue in an increasingly fragmented market, I don’t know who they surveyed but my 24 yr old son and my 21 yr old daughter have not watched any FTA in the last 3 yrs apart from Masterchef, whereas in the UK with a population of 65 million there is only ITV plus bit players like channel 4 and 5. You do not need to be einstein to see that sometime in the future, Australia will not be able to support 3 major commercial networks. Some competition shows (eg Masterchef, Ninja) are OK for family viewing with teens. Most of the others are totally inappropriate for kids under 18, and if we are honest, they don’t enhance the good in the world for adults either. The argument by the commercial networks can be summed up in one statement: The ABC is whipping them for kids’ content, and they don’t want to be humiliated anymore. i don’t have kids & don’t know anyone with any under age 12, their teens don’t watch fta, they barely watch a few shows on Netflix & the rest of the time its video games or just going on social media. So i would be really interested to know what percentage of school age children watch TV, specifically FTA. I grew up in early 80’s so TV was about it, cept for the Atari 2600 lol. There were some great shows on though, Simon Townsend’s Wonder World & Shirl’s Neighbourhood, were my favourites, plus the old Looney Tunes cartoons. Pretty sure if i’d had the choice of tv or internet/games i wouldn’t have watched nearly as much tv. I stopped reading this article when The Bachelor got mentioned multiple times. When I was a kid, it was Play School or nothing. Will be a sad day if we ever lost it, an icon of the industry. I don’t have kids so I don’t watch any kids shows these days, but I believe we should be funding and supporting them a lot more. These kids and teenagers get a great opportunity to work in an industry that is extremely difficult to break into when starting out. They all have to start somewhere. If I did have kids, I certainly wouldn’t them watch The Bachelor or those types of shows. The type of person portrayed in those particular shows is not something for children to look up to. Egads! Who in the world would let their kids watch “Reality TV” in the first place? It’s tantamount to child abuse! I don’t watch reality programmes so why would a child? If commercial television doesn’t want to make programmes for children then give your money to the abc,they make far better programmes anyway. Would anyone make such a stupid argument regarding books? the mind boggles! I was a kid who grew up in the 70/80’s. When I came home from school every channel had kids programming on from 4pm. We were so spoilt for choice. I feel sorry for kids these days as the main programming on TV now at this time is news. Shows like Shirl’s Neighbourhood and Simon Townsends Wonderworld were great as they were entertainment but educational too. Kids today seem to have lost their voices. I’ve definitely noticed kids today are losing their Australian accent for more of an American accent. I think it’s got a lot to do with the lack of no Australian produced for them to watch. So no more Romper Room, Fat Cat, Humphrey B Bear or Mulligrubs for kids? The same old financial arguments are trotted out each time like a headerless MP3 file. If the Networks are unable to fulfil their licence obligations they should hand them back and let someone else have a go. The Networks would be drowning in Taxpayer money if their woes were caused by climate change. Kids spending too much time in the sun instead of watching TV…now there’s an idea. Certainly TV is where they should be getting their storytelling content. But I understand that a lot of their pure entertainment and education comes from online sources like YouTube, which tends to be made up of more carefully cultivated playlists by parents. I can see a lot of benefits to that approach that TV can’t compete with. But dramas for tweens and teens need to still be available, not just soaps and tasteless reality shows. I have fond memories of The Henderson Kids which is a TV show from my youth. Matt Day makes such a valid point about teenage actors. It’s how Sean Keenan got his big break in Lockie Leonard and continues to dominate our screens. Such a shame children’s TV is no longer produced by commercial networks. Yuck no! If I had young children I wouldn’t let them watch any of that. I don’t even watch it. My 6 year old grandson likes cartoons and kids’ tv programmes, he isn’t much interested in reality shows (although he did make me watch Survivor once when I was babysitting him :O ).